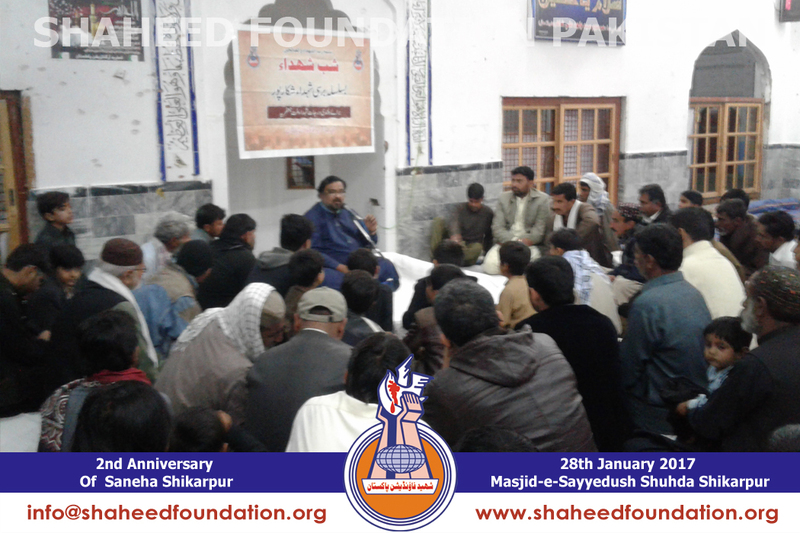 Shaheed Foundation Pakistan organized a SHAB-E-SHUHDA on the occasion of 2nd anniversary of Saniha Karbala Mo'allaShikarpur on Saturday 28th January 2017 at Masjid-e-Sayyedush Shohada wa Imambargah Karbala Moa'alla Shikarpur. 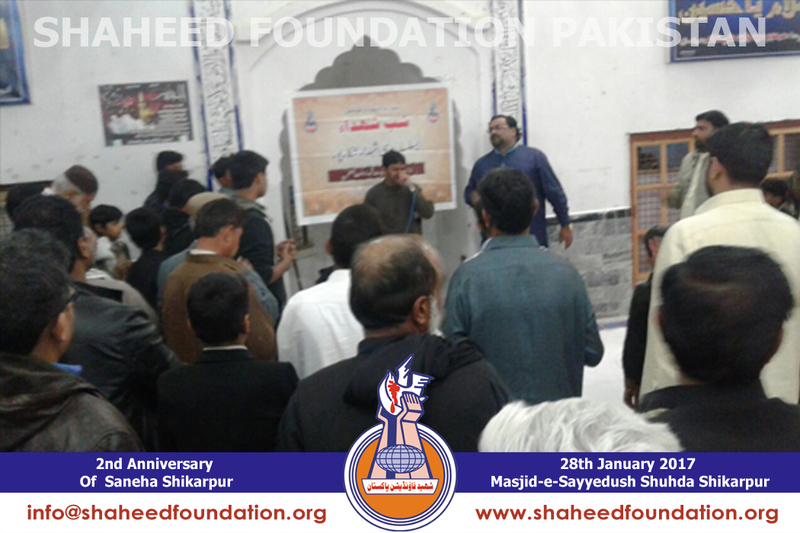 Shab-e-Shohada are often held in various parts of the country in remembrance of beloved martyrs of Millat-e-Jaffaria Pakistan throughout the year on occassion of shahadat anniversaries.These programs give spiritual contentment to the participant and help everyone draw inspiration from the glorious personalities of noble martyrs who have sacrificed their highest belonging i.e their life on the exalted path of Ahlulbayt[AS]. 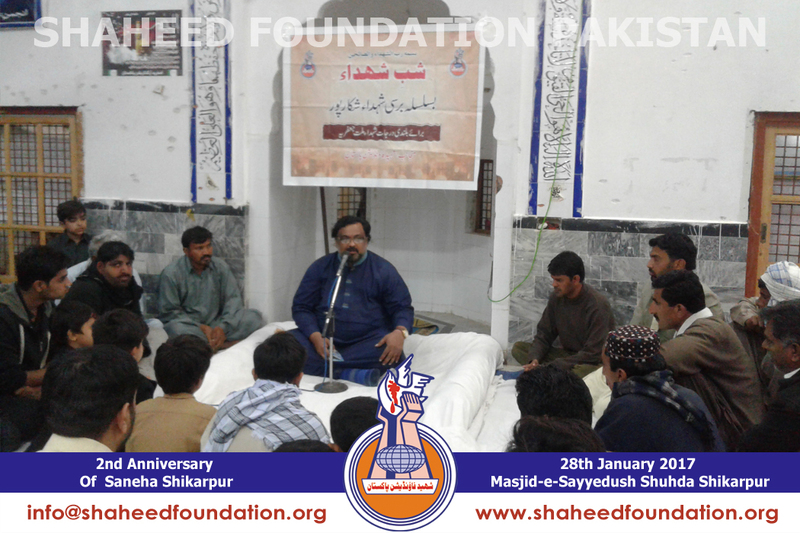 Program was adorned by Khanwada-e-Shohada and local momineen while the renowned personality of Karachi Brother Shuja Rizvi recited Dua e Kumail in heart-rending manner. Azadari-e-Imam Hussain [AS] which is a valued heritage for momineen, that connects us to the philosophy of Shahadat was also held on the occassion. SFP also presented gifts to the dignified families of Shohada and those of Injured momineen of the same saneha. 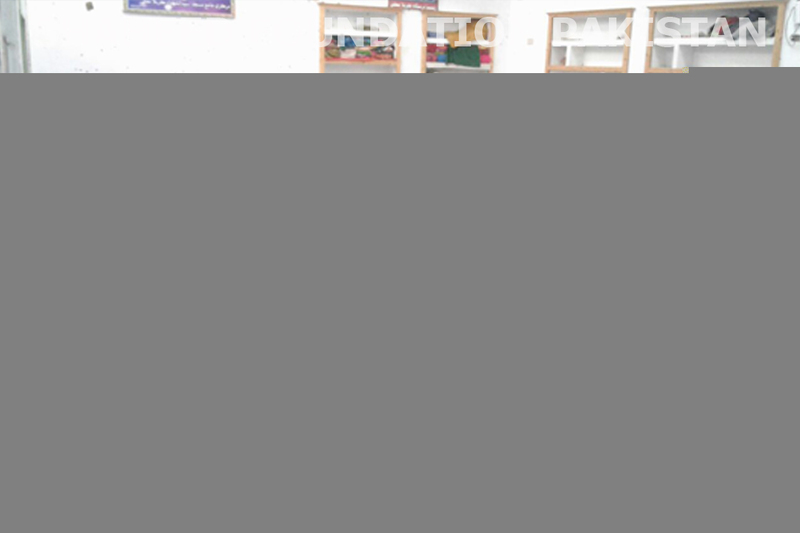 After the program Nyaz was served. Please recite a fateha for Shohada-e-Shikar pur and Shohada-e-Millat-e-Jaffaria Pakistan.